The Alkaline filter changes the acidic RO water into a perfect Natural Alkaline Ionized Water. 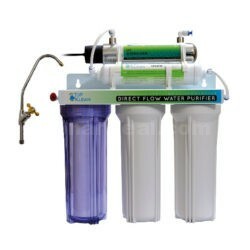 The Alkaline filter simply gives back minerals such as ionized calcium, magnesium, sodium, potassium ion. Produces alkaline water which helps your body maintain a healthy pH level.